Home PRIMAVERA P6 Microsoft Project vs Primavera Which One is the Best ? Traditional methods of project management are not enough to bring success in todays economical conditions. Project management teams always need project management softwares with smart solutions for their projects and organizational requirements. In order to deliver projects on time and within budget, project management teams create schedules, budgets, registers to model and manage the scope of work. Project management solutions make easier to convey information and create reports to demonstrate and represent the real status of the projects. It is not easy to give a definite answer for the question because both of the project management softwares have pros and cons. This article reviews the significant differences between Microsoft Project vs Primavera . As we mentioned in the first paragraph, we will focus on the two project management softwares ( Microsoft Project vs Primavera ) and analyze the differences from different point of views. Below are the key features of both softwares. Primavera P6 is an integrated project portfolio management software which offers advanced enterprise capabilities. On the other hand Microsoft Project was designed as a desktop application and Project Server is used to bring enterprise capabilities for flexible project portfolio management to Microsoft Project. Other significant matter is that the Oracle bought Primavera in 2008, therefore many oracle applications such as Business Intelligence Publisher, Workflow and Primavera Gateway supports Primavera P6. On the other side, softwares like Dynamics and SharePoint strengthens Microsoft Project. Primavera P6 allows multiple user access and work at the same time while working on a single project, however Microsoft Project Desktop application does not. Microsoft Project Server supports several projects at the same time, but a user locks a project and other users can not edit when the project is in use. Primavera P6 allows to create unlimited baselines for a single project and four of these baselines (one project baseline and three user baselines) can be assigned to a project. On the other hand, Microsoft Project allows to create limited baselines for a single project. It is easy to highlight the upcoming activities and activity status by the help of Primavera P6 Progress Spotlight feature. In Microsoft Project, filters feature can be used for this purpose. A project website can be created by directly sending the project documents to HTML in Primavera P6. In Microsoft Project, there is no direct feature like that. A project website can be created by the help of Project Server in Microsoft Project. In Primavera P6, activity steps can be used to model the phases of an activity. This feature allows to break down an activity into meaningful steps and track. Weights can be assigned to each step and the percent complete of the activity is based on the completion of these steps. Microsoft Project does not have a similar feature. Expenses can be assigned to an activity without assigning a resource in Primavera P6. On the other hand expenses can be added by the help of resources in Microsoft Project. Primavera P6 allows to assign more than one relationship between two activities. On the other hand, Microsoft Project allows to assign only one relationship between two activities. Relationships can be established between the activities of different projects in Primavera P6 directly. In Microsoft Project Links Between Projects tool can be used for the same purpose. Hint help is a tool that provides information about the content of a column or field in Primavera P6. It shows the calculation method of a data. Microsoft Project does not have a tool to serve the same purpose. Primavera P6 Columns are more advanced than Microsoft Project‘s Columns. In Primavera P6 more than 200 columns can be used to represent activity and project information. On the other hand 500 default fields of Microsoft Project can be used to serve the same purpose. Spread sheets, e-mails, histogram reports, s-curves are not just enough to model the real status of a project. Integrated project management softwares are required to organize project’s tasks. During the recent years many cloud based and web based project management softwares are created. Various level of details and user roles can be defined along with time and cost management features. While choosing the best project management software ease of use, scalability, user support and cost must be taken into consideration. Another point is that customer satisfaction and and scale (based on market share, vendor size, and social impact) play significant roles to decide the best project management software . Project management software assists project management teams to manage the project’s goals and and organizational needs. In this artcile we try to give an answer to the question: Which one is the best project management software ? 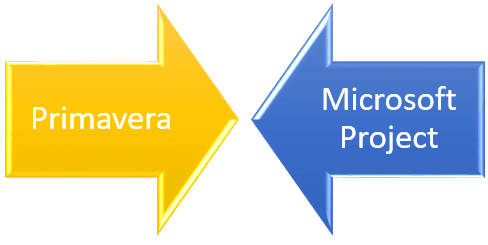 Microsoft Project vs Primavera . Both Primavera and Microsoft Project are widely used and popular softwares. We can not say that one software is better than the others or the other softwares are not useful. A large company may need a software to organize multiple projects on the other hand a small company may need a software to organize a small project. Choosing the best software is based on your projects and organizational requirements. We recommend to use the free trial version of each of the products before to buy so that you will be able to get a first-hand comparison of the software tools before you actually invest money in one of them. it look like a few of the remarks appear like they are left by brain dead folks? Excellent site you have here but I was wondering if you knew of any discussion boards that cover the same topics talked about here? I’d really like to be a part of community where I can get feed-back from other experienced people that share the same interest. If you have any suggestions, please let me know. Bless you! should write more on this subject, it might not be a taboo subject but typically folks don’t discuss such subjects. there are many resources in our website. You can find them by using the search button. helpful information wuth us. Please stay us up to date like this. Extremely helpful info specially the final part 🙂 I care for such information much.